The App that prays to change the world. Share your prayers and pray for other people. 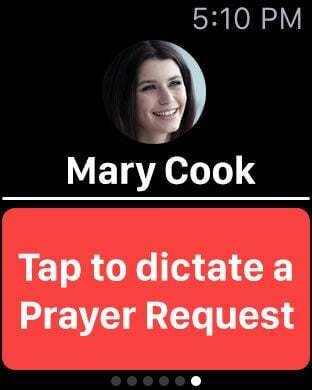 We believe that your iPhone can help you Pray. 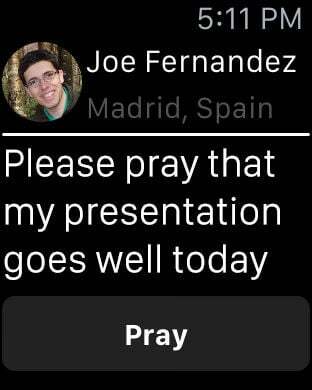 And now you can also pray from your Apple Watch. Do you want to pray for people from all over the world? Need thousands of people to pray for your petition? The App that prays to change the world is here! "Pray" is the application that you're looking for that will help you to pray more. Download the application that is helping thousands of people! Share your prayers with your followers; pray for people from around the world; meet, chat and join in prayer with thousands of others at the same time; discover your progress with your personal resolutions, and feel part of this community that prays to change the world. -Chat and join in prayer with thousands of people at the same time.